There are many great deals to be had in Bakersfield and REO Homes for Sale in NW Bakersfield are just one of those little gems! 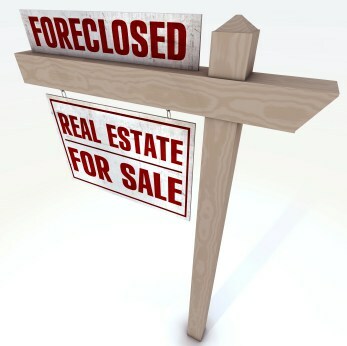 REO stands for “Real Estate Owned” which is a bank owned property that has been foreclosed on. As well, those under the impression that foreclosure homes in NW Bakersfield are rundown and dilapidated will be pleasantly surprised that is simply no longer the case. Buying a bank owned home in NW Bakersfield is very easy and some banks even have special financing. As you well know Kern County and Bakersfield specifically was hit pretty hard in the real estate bubble in 2006 & 2007. The bubble carried on through many more years till the market finally started to regaining traction in late 2012. As a result of the real estate downturn many people lost their homes, banks then in competition with other banks to sell a flurry of foreclosure homes started raising the bar on how they would market the properties. Similarly to SW Bakersfield, REO Homes for Sale in NW Bakersfield is a desirable area and was perfect to establish this new strategy. When a bank owned home hits the market it falls under one of two categories; owner occupied or investor purchase. Along with assistance from the real estate agent the bank will determine what marketing strategy that’ll be best for the property. Most of the time homes that are SFR (single family residences will fall into an owner occupied category which will most likely result in a repaired property. Banks don’t like to do repairs while in escrow so if the property falls into a repaired, owner occupied category then the banks will do repairs before it hits the market like new paint, new appliances, new carpet and sometime even replacing countertops with granite! So now that you know you can buy a bank owned property that may be turnkey lets talk about the purchase process. Buying a REO Home in Bakersfield is easy and there’s no tricks to buying a foreclosure home. All you need is to make sure you’re qualified to buy a home and then you’re ready to go shopping. Some agencies like ours specialize in bank owned properties and likewise we’ve got the knowledge to help you negotiate the best deal possible. If you’d like more information on getting started with finding REO Homes for Sale in NW Bakersfield then please let us know. For more information on buying a REO Home for Sale in NW Bakersfield or if you have any other real estate related questions, please contact us!